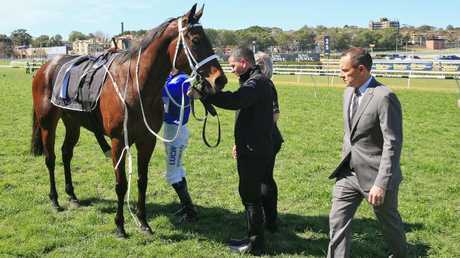 WINX, the champion mare who has made winning a habit, wasn't racing for prizemoney but she was still compelling to watch at Royal Randwick on Saturday. 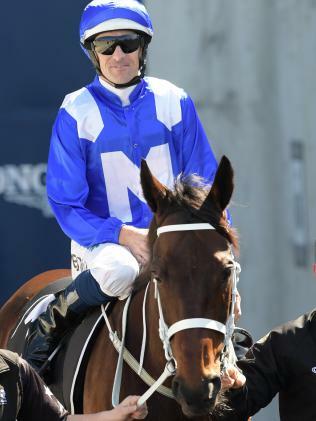 Trainer Chris Waller arranged for Winx to have a simulated race against three of her stablemates in a 1000m jump-out just before the first event, giving punters and fans who got to the track early the opportunity to watch the world's best racehorse strut her stuff. As always, Winx didn't disappoint. She sat behind her three rivals for most of the trial before jockey Hugh Bowman let her rip in the straight, accelerating clear to win by one and a half lengths. 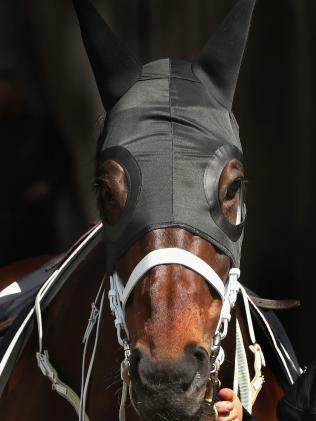 Winx, who is on a 26-race winning streak stretching more than three years, was individually timed to run her final 600m in 33.17sec with a final 200m sectional split of a brilliant 10.52sec. "Believe it or not, because I held her up and didn't let her work into it like I would in a race, she didn't go through her 'gears' as well,'' Bowman said. 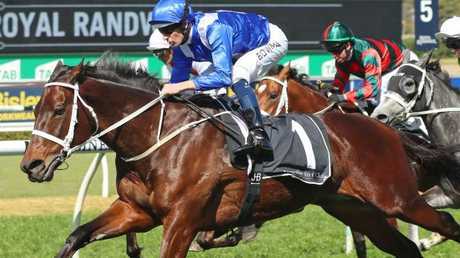 Winx will have had four weeks between runs when she races next in the Group 1 $500,000 George Main Stakes (1600m) at Royal Randwick on September 15. 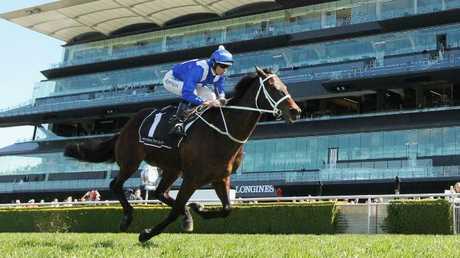 "Today was just about filling the gap between runs and stopping the trainer from getting anxious,'' Waller said. 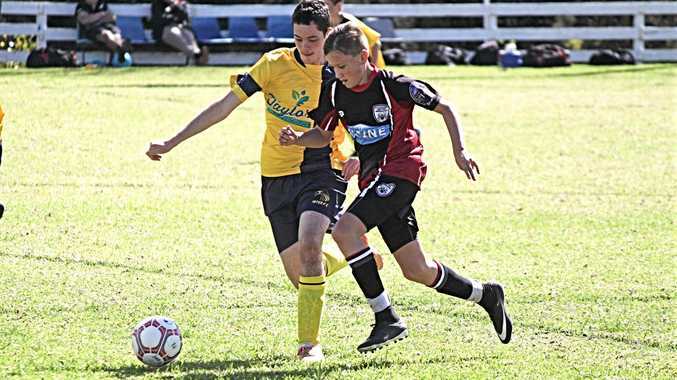 "You can work them hard at home but a trial like she has just had gets her blood pumping. It is an easier way to get her fit rather than crunching her on the training tracks. Waller said seven-year-old Winx had retained her enthusiasm for racing and there were no signs that age was catching up with the mare. "I'm looking at her body language every day and it is so positive,'' Waller said. 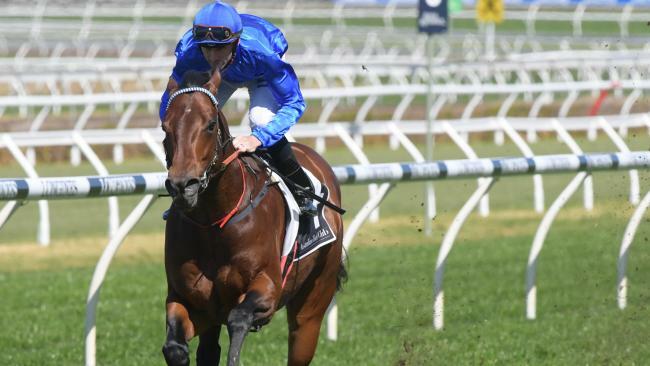 The George Main Stakes, where Winx will chase a 20th Group 1 win, could be the great mare's final start in Sydney this spring before she is sent to Melbourne to continue her quest for an unprecedented fourth Cox Plate at Moonee Valley next month. "I haven't put too much thought into what happens after the next run," Waller said. "I doubt we'd be changing much unless there was reason to change." Waller used the Turnbull Stakes (2000m) at Flemington as Winx's final Cox Plate lead-up race last year. The other option is to keep the mare in Sydney for the Craven Plate ( (2000m) on Everest Day at Royal Randwick on October 13 before she is sent to Melbourne.